They certainly look better than the £20 ebay specials! That's dark enough I think. Time for some photos. 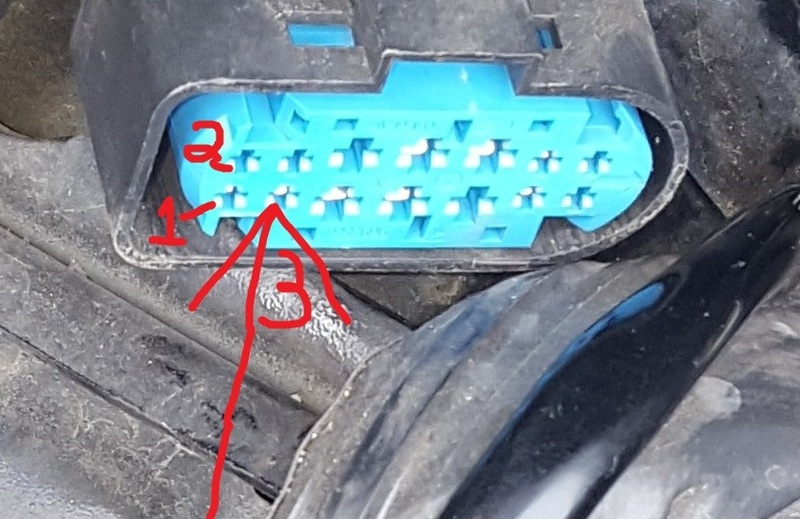 This is on the passenger side of the car, pin 3 (I think) but the wire is Purple/Green. This makes the the DRLs dim when I turn my dipped beam on, but they stay on full with just the sidelights on. Looks MEEEEEEEAAAN! Might have to do something about those nearly yellow fogs though. The lights in the head cluster are all Philips WhiteVision which are about as white as I can legally get. 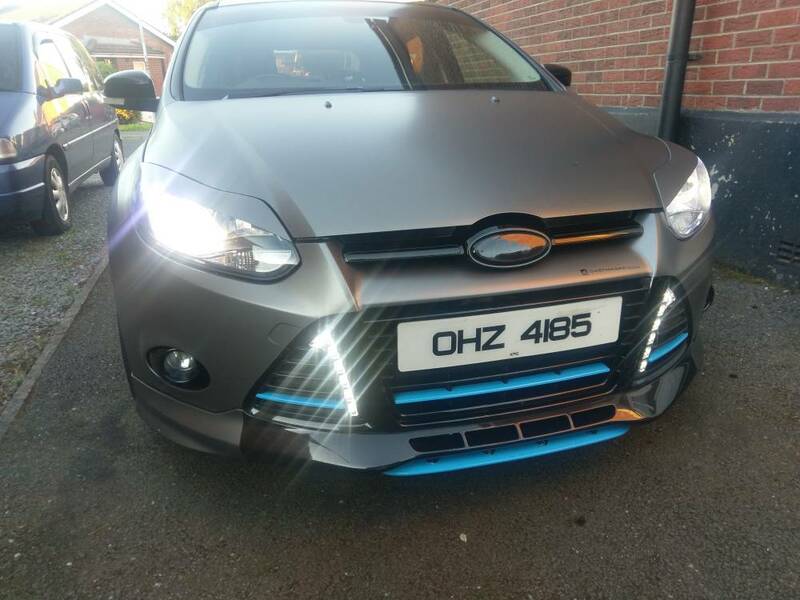 I'm not messing about crossing the line with LED headlight bulbs but does anyone know if the same rules apply to the fogs? 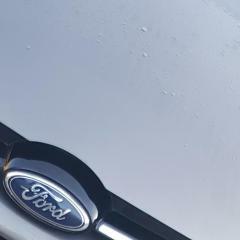 I would at least like to match the fogs to the DRLs for whiteness so there's some symmetry. Is it legal to have them on full with side lights? I'll probably just scotch lock the headlight wire (Sorry) and tape it up well. Complete rip off obviously but 15% off makes it bearable to get it tonight. They are mini fuses right - same as passenger footwell box. Its a bit hard to say which is better. The add a fuse style only just fits with a fuse in at 90 degrees but I can imagine the one you show here being too the all to get the fuse box cover back on. I never thought about the legality of it really - the sidelights are so puny I thought keeping drls on full wouldn't matter. Note that the picture I have last on there is with everything on, including full beams! The drls do dim with dipped lights so I don't think it would be too dazzling. Also, there are sets which don't dim at all so wonder if this is an issue? Yeah they're mini fuses. If you look, anything which is not included in the car only has one terminal in the fuse box. For example my fuse 42 only had a receiving terminal on one side, so the other prong of the fuse tap went into nothing. Means that whatever it was, the wiring isn't present for it! Nothing wrong with scotch locks by the way, better than a bad solder job that you can't reinsulate and easier where space is limited. Just regarding the dimming, I wasn't sure what my (OEM) PFL DRL did so I checked them. 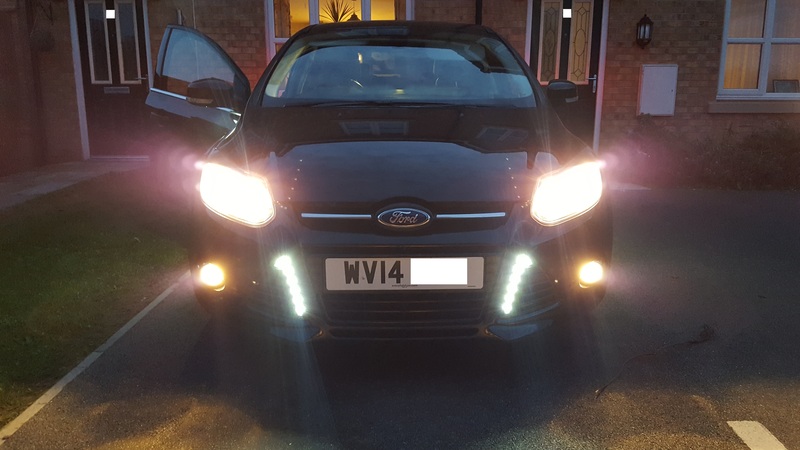 With my lights "off" the DRL are bright, with my switch set to sidelights the DRL actually dim, and with the dipped beam on the DRL stay on but dimmed. I think I'll just follow your guide for now with regards to DRL dimming, and hope that's legal. 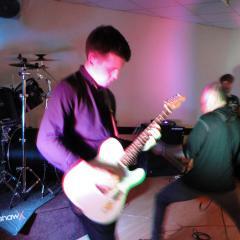 I know there is a legal requirement for them to dim at low light - but can't remember if thats dip or side. 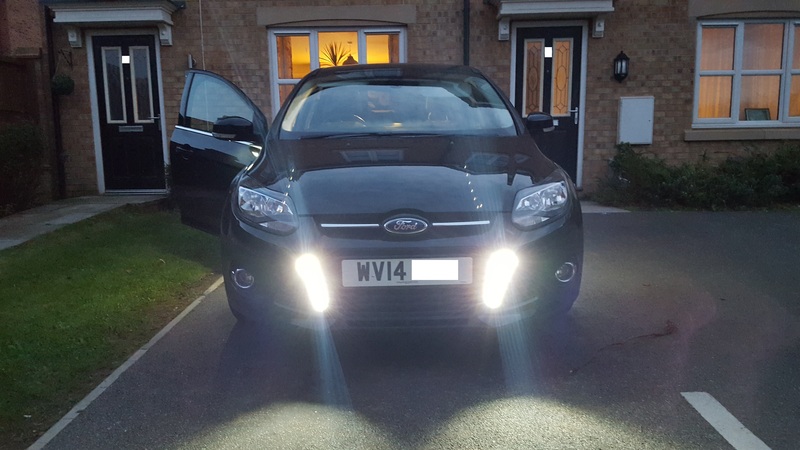 Did you find out about the legal side of LED fogs btw? Also... I my have just spent £80 on an illuminated gear knob. If it was low light conditions I'd be using dipped beam anyway. I don't think I've ever driven any car with just sidelights on. It's either too dark and I need dipped beams or too light and I don't need any. I tend to drive this car with the light switch on auto anyway so everything will come on and the drls will dim when needed. You can wire them in to the sidelights so that they dim with them. I think it's pin 12 but not sure. Easiest way is to test with a multimeter. 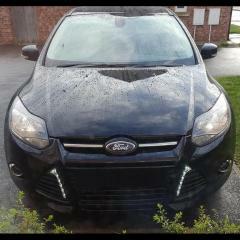 Still not sure about led fogs. I don't drive around with them on like a numpty anyway so they'll rarely be seen working. That's not to say I want to cross the line as they'll be an issue come MOT time whether I use them or not. these DRLs only have 2 wires. I take it there's no way to make these road legal? I assume that it is definitely an issue if they don't dim at all? so other than £300 for the oems I can't think of anywhere where I can buy and fit over the weekend? Any suggestions as to a proper set? so depressed! All ready to go! Hate to say it mate but these sound like the first ones i bought that were of poor quality .. i ended up buying some from aliexpress for about 40 as i too made same mistake and didn't make sure they had the four wires needed. These are the ones i ended up getting, very good quality and was very impressed with them.. though you may have to wait....gloss match the titanium. Phil - they look identical to these I've got - I guess they just come with different control boxes. you can purchase them from amazon on prime for Sunday but it seems such a mish mash I'd rather send back and get the kit. those ebay look good, least they mention the wires! Still so damn angry that they can't picture and describe a product properly! Does Fuse 42 usage negate the need for voltage checking btw? I'm assuming it's an ignition live? I wired my drls to my own preference: dimmed with headlights on and full brightness with sidelights. Fuse 42 is an ignition switched source, so yeah just plug and play. Keifer, your car makes me drool a bit, but yeah I've wired in the same way you have. "Someone get me my dribbling towel..."
Keifer out of interest how much would a wrap usually cost? A bit academic really as I'm a boat ride away from you but still interested! I paid £1125 to get Eve done two years ago.